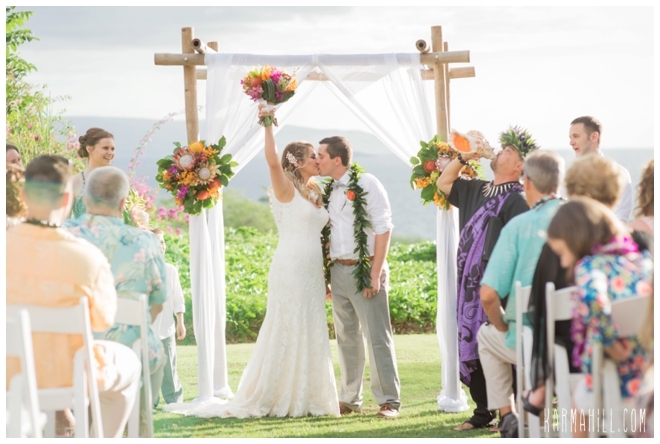 On a gorgeous Spring afternoon, with the gentle breeze teasing their senses, Mikaila and Roux joined together before friends and family to become husband and wife. 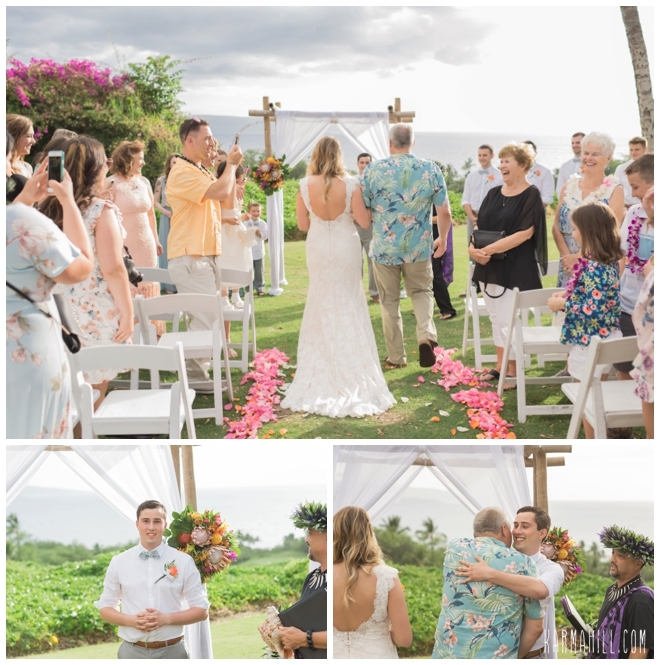 A ceremony complete with a local musician and vows they wrote for one another, it was a heartfelt moment that they won't soon forget. 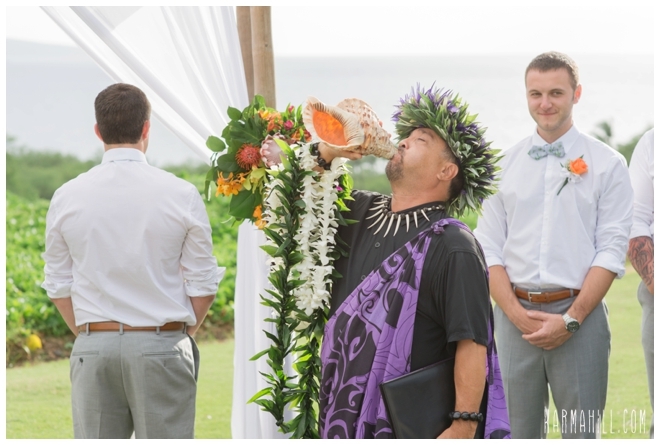 Alas, it was not all times of heavy emotion, not with this wedding party. 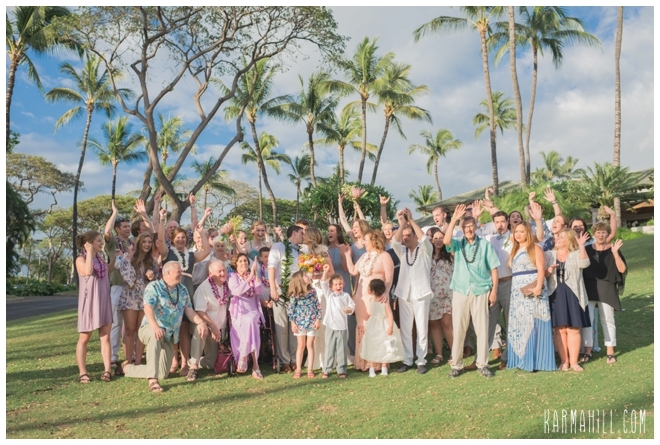 This band of beloved people flanking the newlyweds' sides was a wealth of comic relief and fun entertainment. 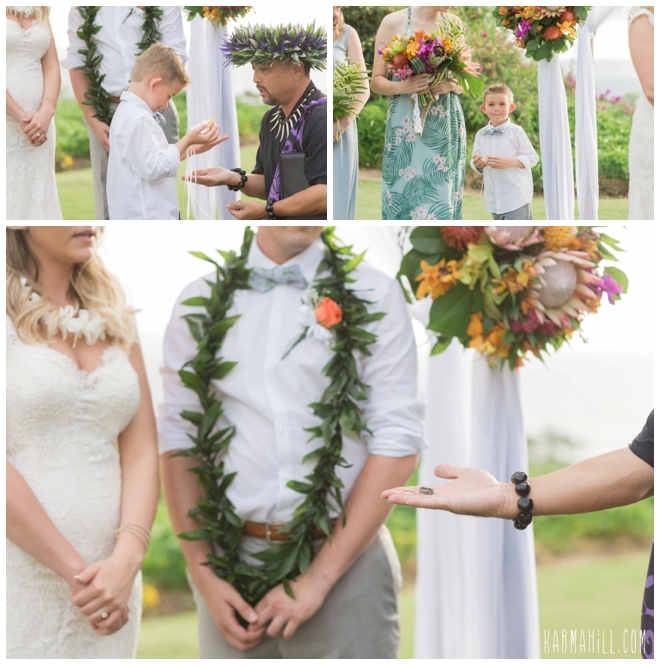 Even the flower girl and ring bearer got in on the action when they made more than one trip down the aisle, much to the delight of onlookers. 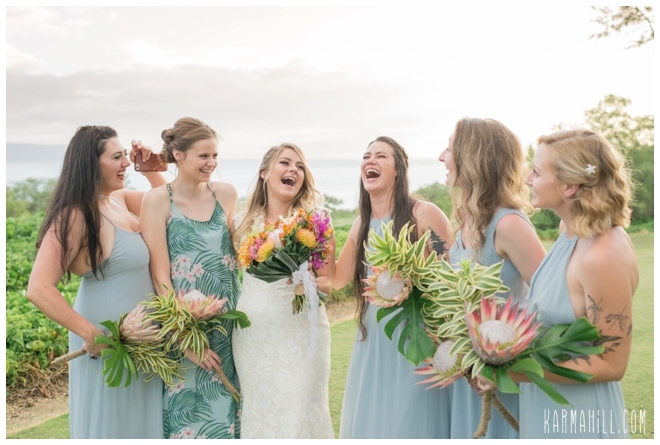 In all seriousness though, you couldn't ask for better people to stand up and support you on your wedding day than the hilarious group Mikaila and Roux had. 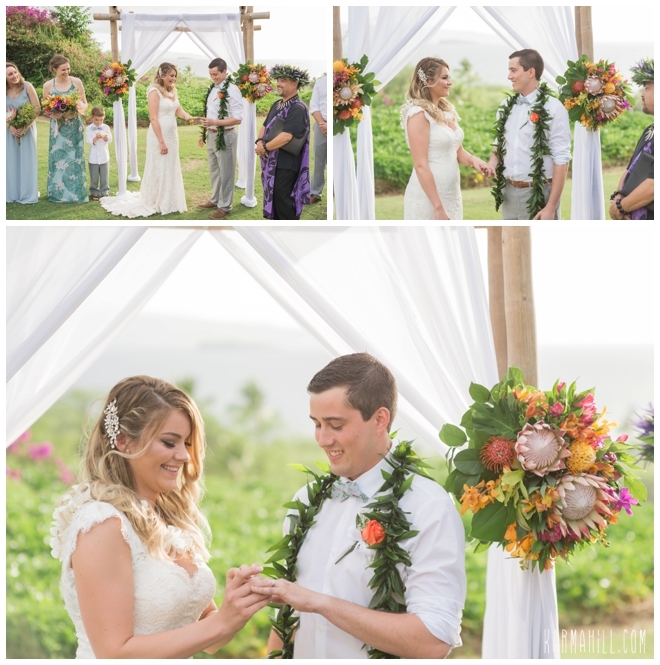 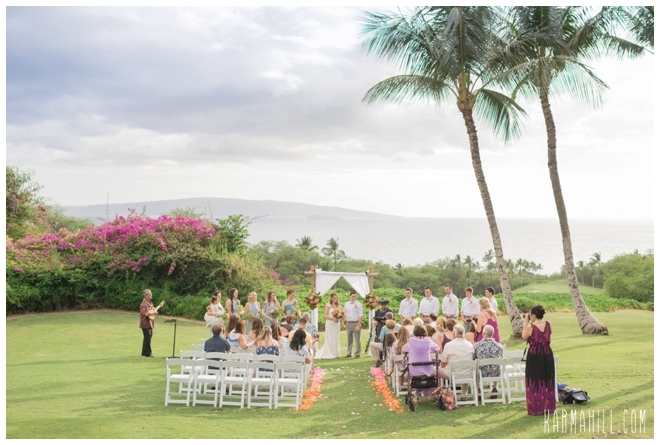 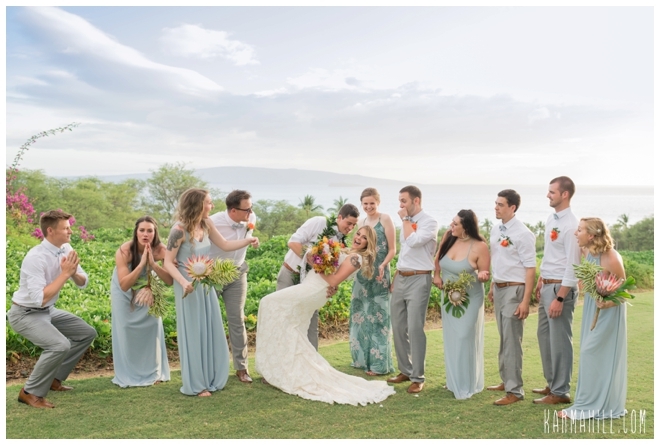 Between the stunning setting and fabulous people, it was the Maui Wedding day a couple dreams about. 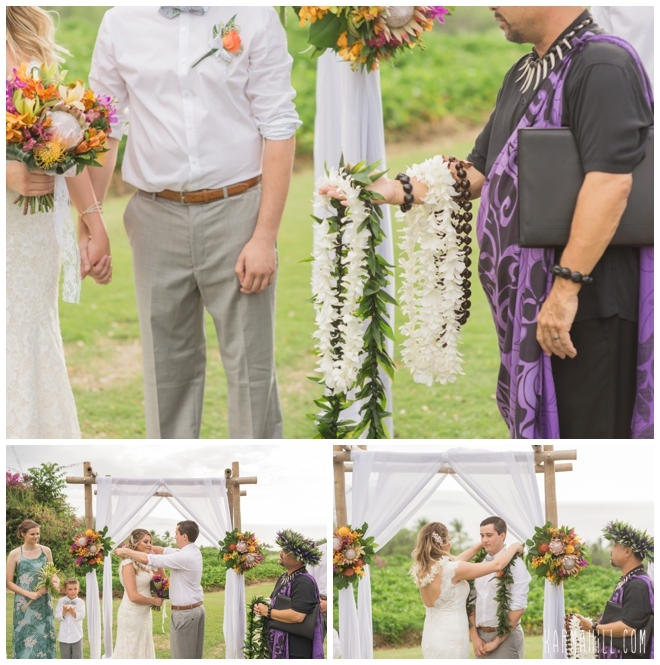 We are so grateful to have been invited to be a part of it. 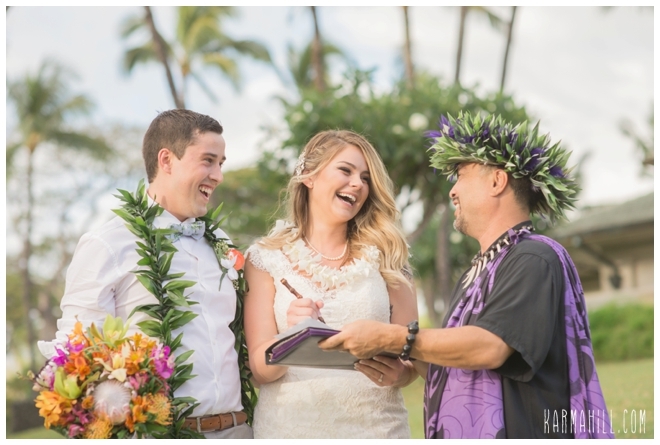 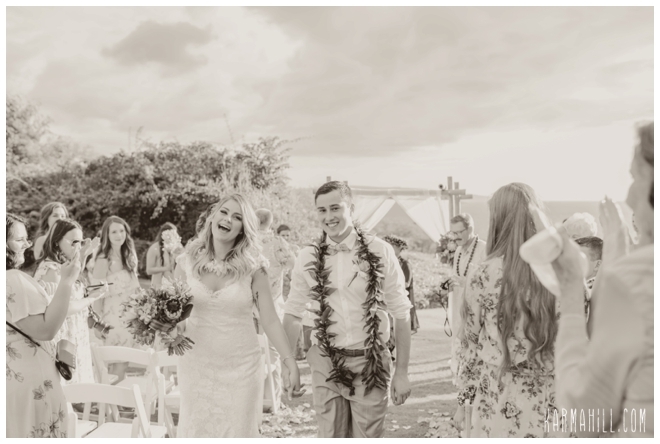 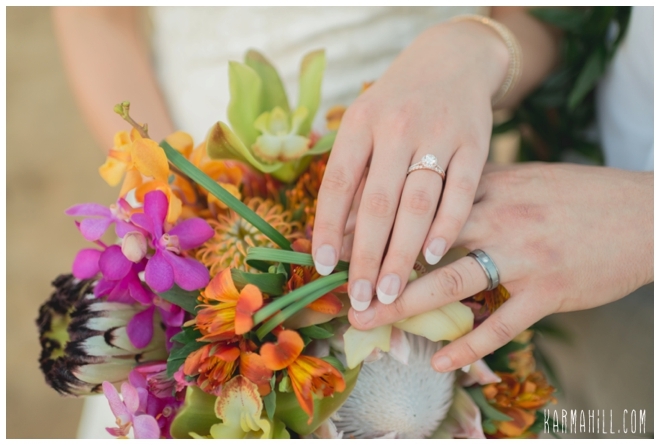 Thank you, you two, choosing Simple Maui Wedding. 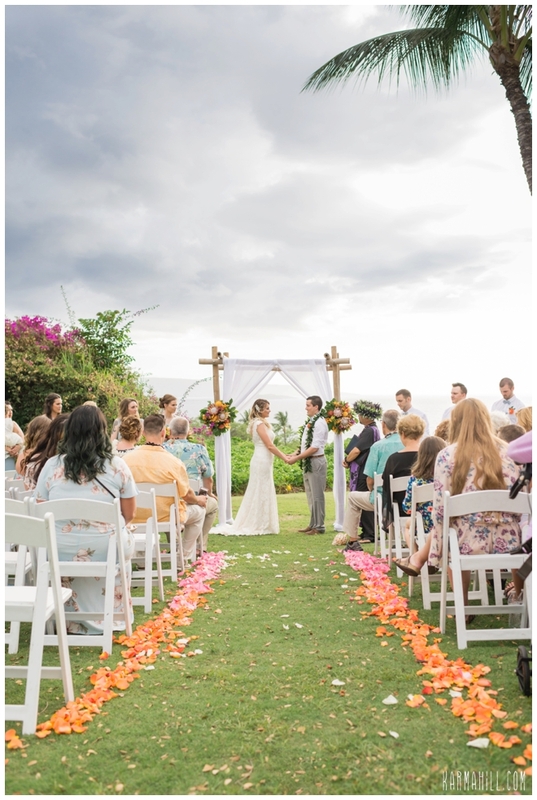 We wish you a lifetime of happiness and look forward to future visits. 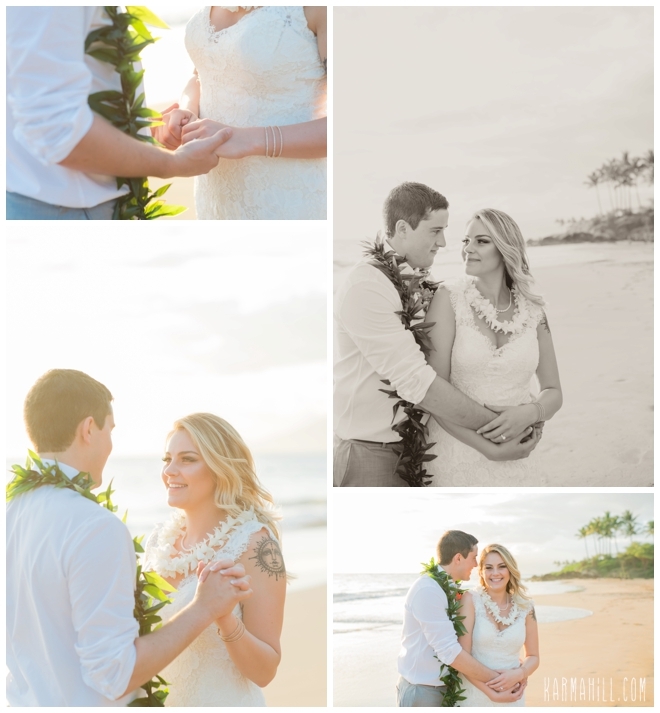 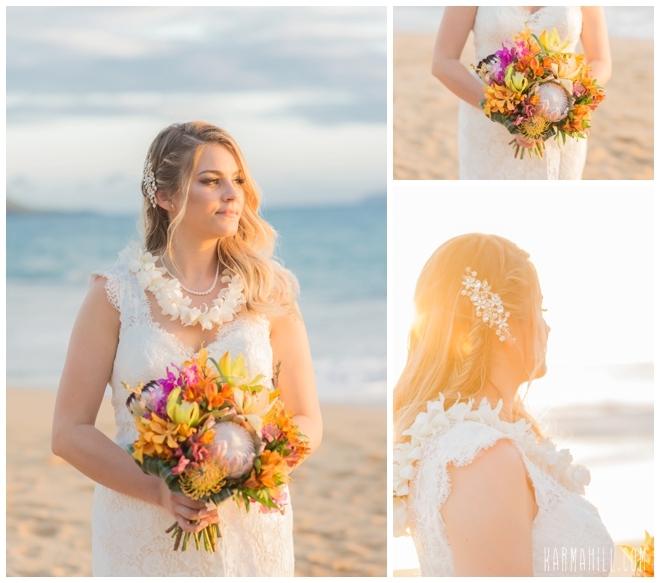 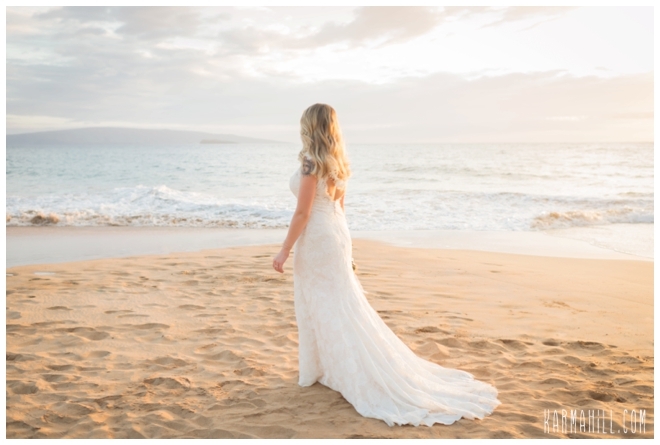 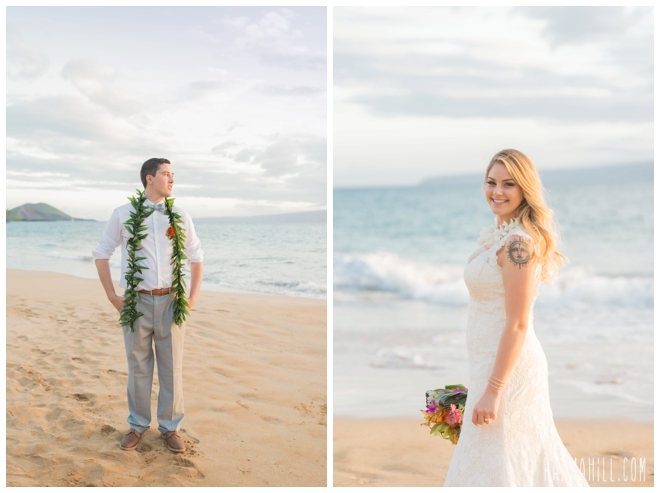 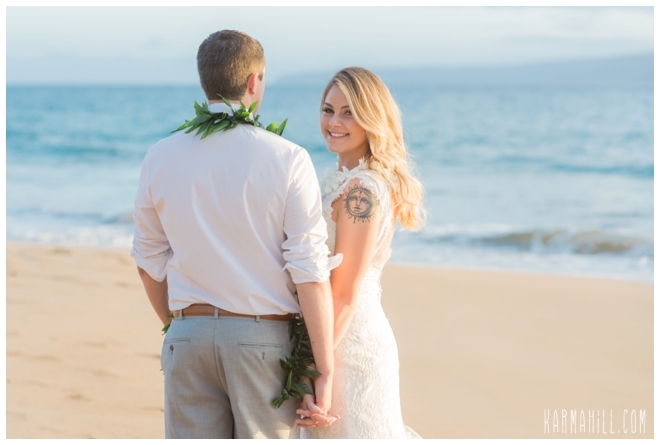 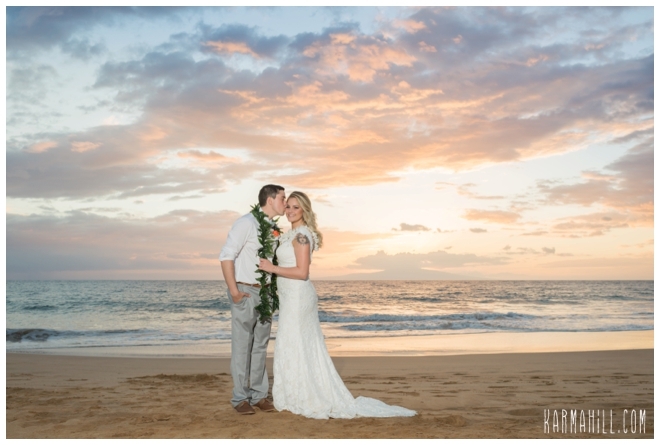 Check out Petra & Dave's Maui Wedding!